Upon arrival into Nairobi, spend the first 2 nights at Ololo Lodge to ease into the safari experience and visit attractions in Nairobi. Fly to Ol Pejeta Conservancy; an excellent place for families to learn about vulnerable species – such as the rhino – and conservation. 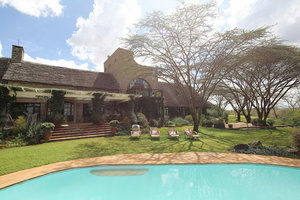 From here, fly to the wildlife-dense Maasai Mara where you will spend 3 nights at Mara Bush House enjoying the exclusivity of your own “bush” house (complete with pool!) and private guide. Experience game drives, a bush breakfast and full day in the reserve, specialised bush-craft activities for kids and visit local markets and a Maasai village. Upon arrival at Jomo Kenyatta International Airport (JKIA) in Nairobi you’ll be met and transferred to Ololo Lodge where you will stay for two nights. Ololo is easily accessible to explore some of the highlights Nairobi has to offer; visit the Sheldricks’ Elephant Orphanage, Giraffe Centre and various markets. 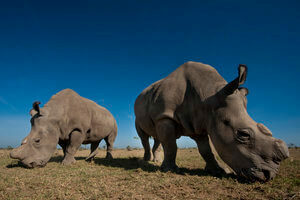 Also experience game drives in Nairobi National Park. Spend three nights at Ol Pejeta Bush Camp where you’ll experience day and night game drives and walking safaris (16yo+). A range of additional activities are available such as visiting the endangered species enclosure and chimpanzee sanctuary; it’s also possible to do some lion tracking or, arrange a private visit with the last three remaining Northern White Rhinos. 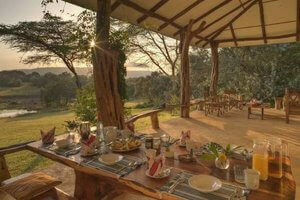 Depart for the Maasai Mara, spend three nights at Mara Bush House located in the wildlife-dense Greater Mara region. Enjoy game drives with your highly qualified guide and private vehicle, visit a local Maasai village for an incredibly authentic cultural exchange and set your own schedule for the days you’re in the Mara. 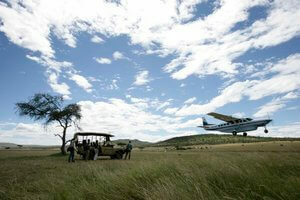 Time for your family safari to come to an end; you’ll be dropped off at the airstrip and will bid farewell to your guide, before flying through to Nairobi and transferred for onward connections. Set in an exclusive game viewing area in the Mara North Conservancy, offering guests an incredibly intimate safari experience.